I always joke that watching the movie Fern Gully helped define my life. I grew up quite passionate about the environment and saving the world, but it wasn't until I attended UC Davis and could see how a city could be planned to be as sustainable and bike-centric. Since then, I have focused on the combination of land use and transportation so that people have choices when they travel and that cities are planned on a human scale. Lola Torney joined Alta Planning + Design in 2014. 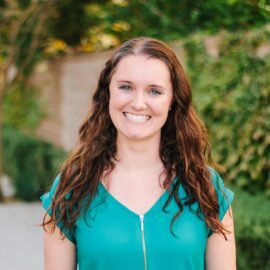 She has experience in bicycle and pedestrian infrastructure planning, public outreach, and transportation mapping & modeling from work with the Institute of Transportation Studies at UC Davis and the City of San Jose. She has a BS in Environmental Policy and Planning from UC Davis and a MURP from San Jose State University.